Dubai has been designed to bring out the romantic in everyone. The incredibly lush and romantic Dubai Miracle Gardens will make you feel closer as a couple. 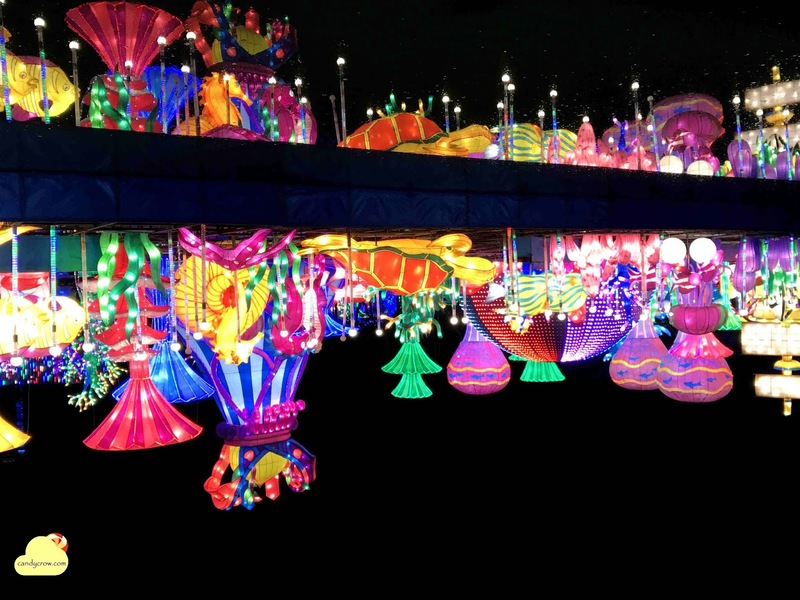 The Dubai Glow Garden will take you straight into fantasy land together. 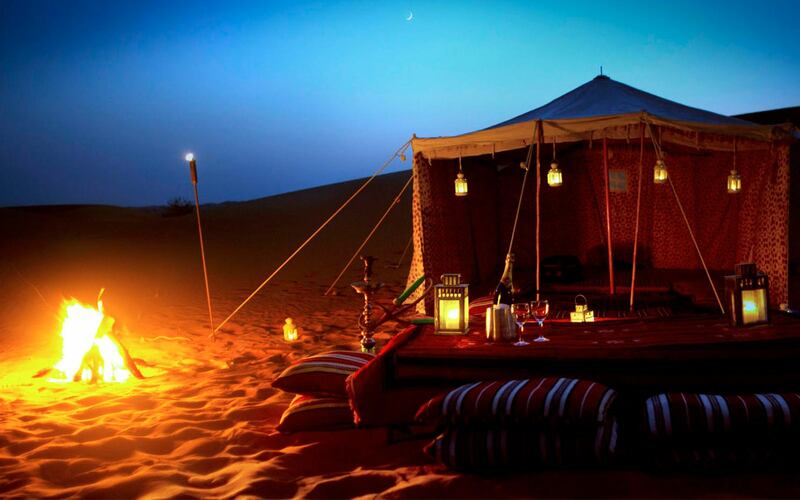 The Dubai Desert will put you in touch with ancient romance that has stood the test of time. There’s romance everywhere in Dubai – in the seas, the pristine views, and the richness of the gold souqs, the narrow cobbled streets of the Historic Neighbourhood and along the Dubai Creek. Pack your bags today and head over to these incredible romantic places to visit in Dubai for your honeymoon. Experience the grandeur of the city’s most iconic hotel with a decadent afternoon tea at the Sahn Eddar restaurant. You’ll dine on excellent scones and sandwiches in a restaurant located at the base of the world's tallest atrium. For 2 hours, you’ll bask in the very lap of luxury with your honey, enjoying Arabic, Turkish, and Moroccan flavours in a range of seasonal cakes and local produce. Admire the incredible golden atrium as you dig into the richest saffron, spices, pistachio, and dates. A symphony of classical music surrounds you, as you feast your eyes on rich marble and mosaics and soft lighting. Enjoy an incredible private hot air balloon safari over the Dubai desert with your love. See the whole of the desert from above while suspended from a basket. Be sure to take long-view shots of an incredible sunrise, as the sun peeks boldly over the dunes in the east. After you land, enjoy an amazing gourmet breakfast and a blissful drive over the dunes. For several hours, you can forget the rest of the world, except the spectacular hot air balloon flight, which culminates with a falcon-show on board. 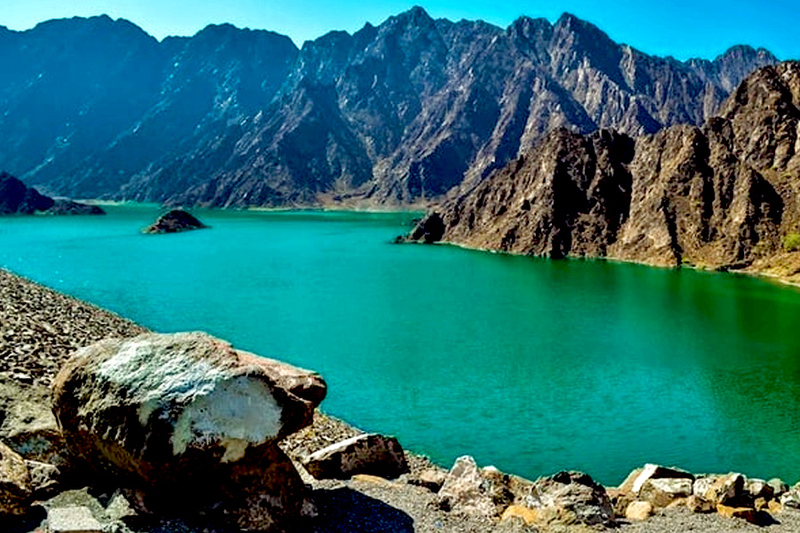 Imagine this – it’s just you and your honey at 4,000 feet above ground, gazing down at the gazelles, Arabian Oryx and camels galloping in their natural habitat. A 2 hour dhow cruise along Dubai Marina Canal, JBR and Palm Lagoon is incredibly romantic. Watch the sun set over Dubai’s incredible skyline. As the city lights up with multi-coloured LED lights that reflect on the waters of the Persian Gulf, enjoy a scintillating belly dance show while henna artists tattoo your hands and feet. It’ll be the most romantic date ever for both of you, the perfect place to propose marriage and create unforgettable moments together. Sign up for an Overnight desert safari in Dubai and explore the secret world of nocturnal animals using night vision binoculars. Lounge back on silk cushions and nurse your drinks as you take in a pristine desert sky filled with stars. Smoke an aromatic shisha pipe, as you watch a beautiful dancer belly dance for your pleasure. Let henna artists tattoo your hands and feet with the fragrant herb. Take in the quiet desert atmosphere and fresh desert air as you enjoy an incredible dinner to the accompaniment of lovely music and the company of your true love. Dubai Garden Glow is a magnificent theme park that’s open from November to April of next year. This year, Dubai Garden Glow has come up with several fantastic themes – there’s an animatronic Dino Park, with such realistic dinosaurs that you’ll be taken back. Then there’s this beautiful fairyland created out of yards and yards of luminous fabric, and thousands of CDs and bottles. The Ice Park is an unbelievable collection of amazing ice sculptures of global land marks, fantasy beasts, and many eye-catching constructions. 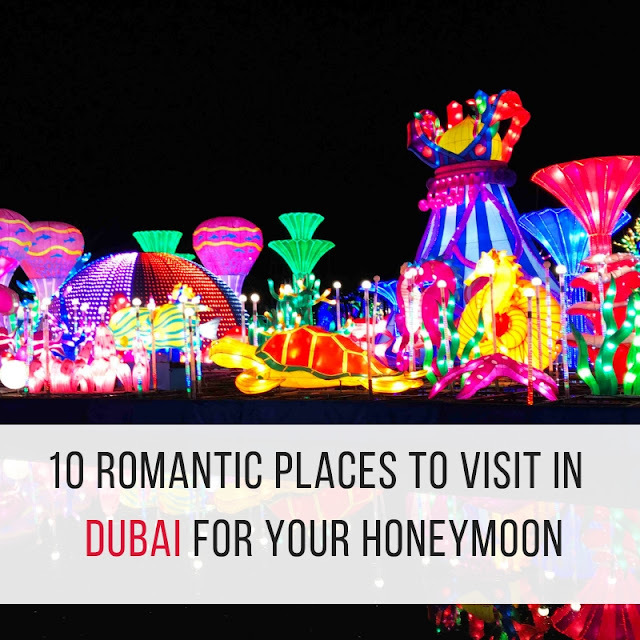 It’s a romantic fairy land, one of the perfect romantic places to visit in Dubai with your love. 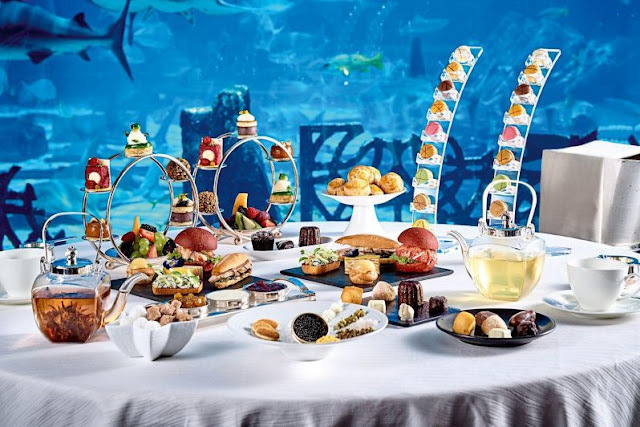 Read "Guide To Visit Dubai in 5 days"
Sign up for a couple’s spa date at the Talise Ottoman Spa in Palm Jumeirah for a blissful afternoon full of decadence and luxury. 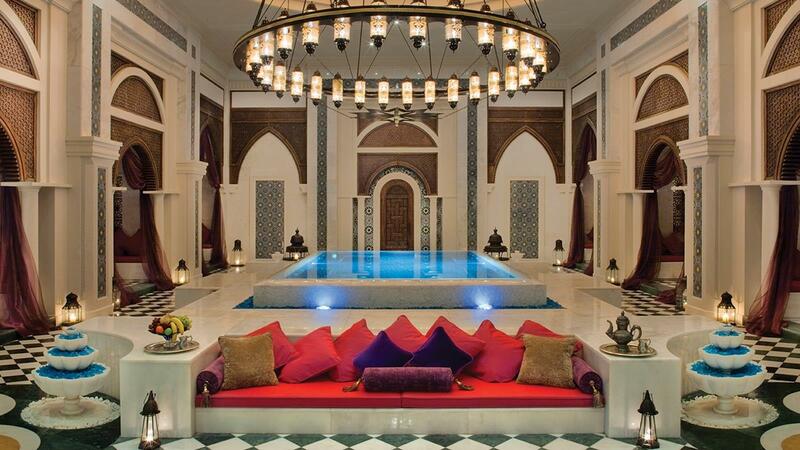 Indulge in some sheer Arabian luxury with massages, saunas, snow rooms, and calm thalassotherapy pools. Rejuvenate yourselves with gold facials and a decadent soak in aromatic oils. Take a break to sip some delicious Arabian coffee and nibble on the richest of dates. A couple’s spa date at the Talise Ottoman Spa is just what you need to refresh your bodies and souls. 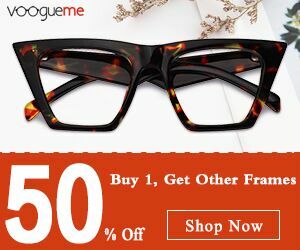 Are you a South Indian Bride "10 Best Hairstyle for South Indian Bride" is a must read for you. 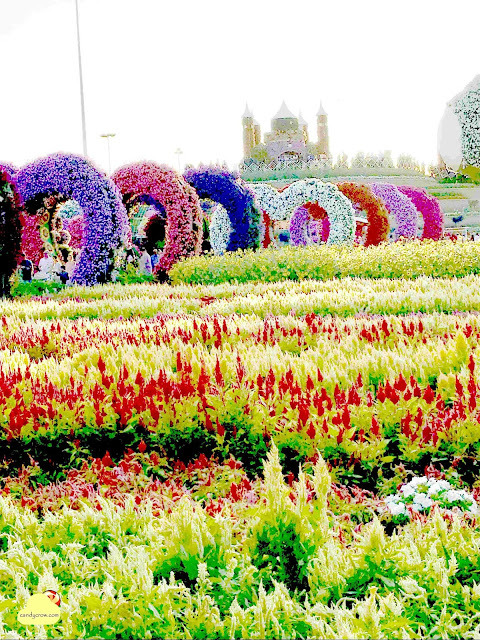 Enjoy the incredible sight, feel and smells of 45 million flowers in full bloom in the Dubai Miracle Garden. It’s the world’s largest garden of natural flowers, where each flower spells romance. It’s a garden with a difference –flowering plants are manipulated to grow into fantastic shapes such as circular arches, heart arches, and great global landmarks such as the Burj Khalifa, an airbus, cartoon characters and famous people. Each of these creations is actually an amalgamation of plants that are trimmed regularly to maintain the design. It’s an incredibly romantic place just meant for lovers. The Kite Beach is pristine and beautiful and offers scintillating views of the great Burj Al Arab from every corner. 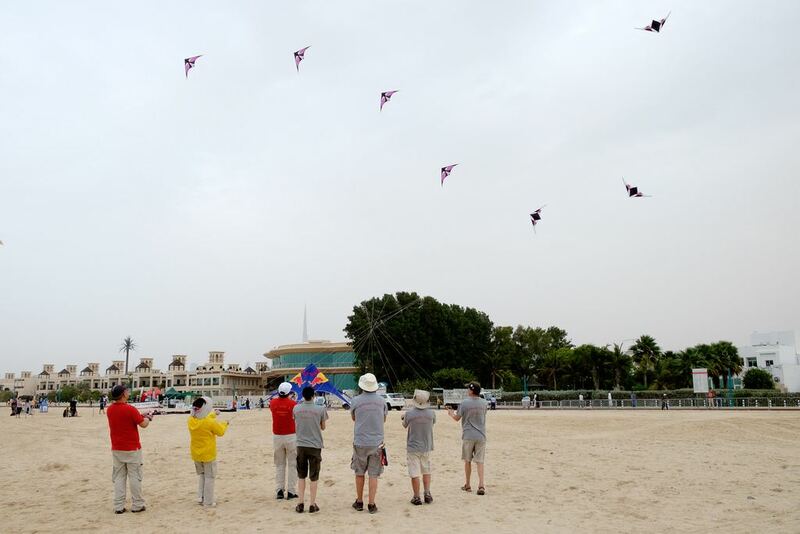 Kite beach is a great place for love birds who are water junkies at heart. Immerse your feet in the smooth sands and stroll together hand-in-hand. Enjoy banana boat rides and try your hand at kite surfing. Rent a kayak and go kayaking together. Join a game of beach volleyball and enjoy being outdoors under the warm sun on a lovely beach with your honey. 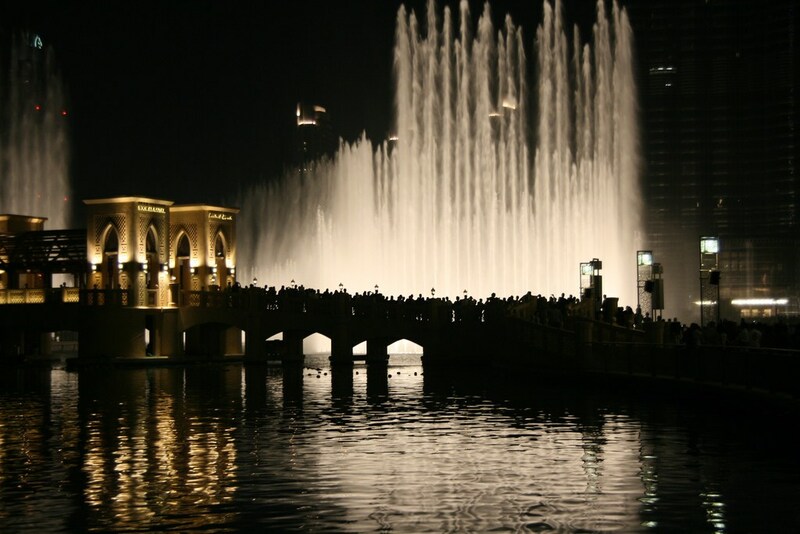 The Dubai Fountain is simply phenomenal. Located at the foot of Burj Khalifa, the Dubai Fountain is a beautifully choreographed to dance to thousands of modern songs, old Arabian tunes and classical music scores. 22,000 gallons of water move lyrically through the air, rising 150 metres in the air. The vibrant and illuminated jets dance mesmerizingly, shining with a million colours. You can watch the fountains from a boat on the Burj Lake, or from the Burj Khalifa Boulevard, or from the Burj’s observatory deck. As you can see, Dubai throbs in tune with romantic vibes in every corner. For lovers, Dubai is a godsend. Adventure lovers can sky dive together, or play virtual games at VR Park. Romantic lovers can take picnics and explore the city’s incredible sights. There’s something here for every kind of lover. Wedding ahead, Read "10 Beautiful Blouse Sleeve Designs for Wedding"